Cassidy wakes up and finds out she's dead. The problem is she can't remember what exactly happened to make her this way. She knows she had a fall from a bridge after a party, but she doesn't know much else. The police are calling it a suicide, but Cassidy can't imagine she would ever do that. The only person who can see her is Ethan. Sweet Ethan is the only boy she ever loved... but she knows she's done something to betray his trust, she just can't remember what. That betrayal may be the key to finding out what happened to her, she just needs to figure out what happened that night on the bridge... and everything leading up to it. I am all for a good YA Mystery. I know it's been done like a million times, but I like it when the main character doesn't remember something and goes through the slow process of getting those memories back. It's like putting together a puzzle. A puzzle that makes me really anxious and excited to see the big picture. This book was one of those books where you really really want to know what happened. Who pushed Cassidy?... or did she just have an accident?? I wanted to know so bad. There was a cool cast of characters and so many of them were suspects. The thing is, this book was broken up into 3 phases for me. Phase 1- I'm totally into it and really want to know what's going on... Phase 2- I'm like whhhyyyy is this taking so long to get through?? Why are we going over the same details and why is this situation way more complicated than it needs to be??... Phase 3- Ohh now we're getting to the good stuff. But I'm still a little confused as why this whole "big reveal" is so complicated. Another thing I want to talk about is the cheating aspect. Cheating is NOT a deal-breaker for me. Just because cheating is going on, doesn't mean that I will automatically dislike a character. There is a cheating event in this book and the act itself didn't really bug me... I mean, people cheat, it happens. These are 17-year-olds. They're still figuring things out. I just didn't like the way Cassidy treated the boy she cheated with AT ALL. She was so worried about Ethan and his feelings, but the other boy could have easily have jumped off the bridge too and she wouldn't have batted an eye. It pissed me off and it made me dislike Cassidy. You can't just use a guy who genuinely cares about you and then boo-hoo about how you hurt your perfect boyfriend. That's not going to make me like you. So I really enjoyed the mystery of this book, but I felt like it dragged a lot and didn't need to be so complicated. There are like 8 people involved in this book and they're ALL mixed together and connected in all these weird ways. I didn't really like how all that played out. It was a solid book with a good mystery, but could have definitely been better. OVERALL: An intriguing mystery that made me want to fly through it to the end. I felt like it dragged a bit in the middle and the main character did a lot of stuff that made me feel annoyed with her. If you like reading these type of ghost/mystery books, this one should definitely go on your list. How I got this book: Thank to Netgalley and Macmillan Children's Publishing Group for opportunity to read and honestly review this book. Yeah I mean as a mystery novel it definitely did it's job because I REALLY wanted to know what happened on that bridge!! I love this cover! I hope to read it soon. 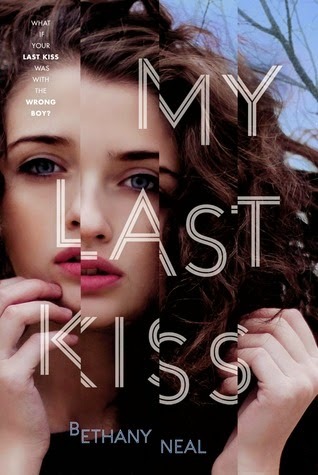 I've recently gotten into YA mystery so hopefully this one will be on I enjoy.